Our Passion is to offer the latest in professional treatments and products to enhance your natural beauty from the inside out. We are so proud of our heritage in Waringstown. A village founded in the linen industry with the settlement of the Waring Family in 1667 at Waring House. Sorella is a much more recent addition to the village architecture, built in the area of the old coach house in 2007. FINISHING your skin using Jane Iredale, the skin-care make up, Vita Liberta Spray Tan and OPI Professional nail colour. We are committed to complete customer care and with the highest standard of training and expertise our goal is to develop a package of treatments and products just for you. As soon as you walk through the doors, you are greeted by calm, serenity and peace. Any of the massage treatments are top class but it’s the little attention to details that knock the socks off any others I have been to. Results that speak for themselves. 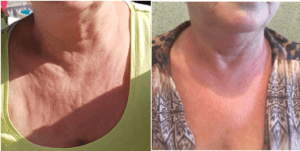 The before and after of 4 weeks use of Alumier MD Neck & Decollete Firming Cream. My sister and I each had a hot stone back massage here last week. 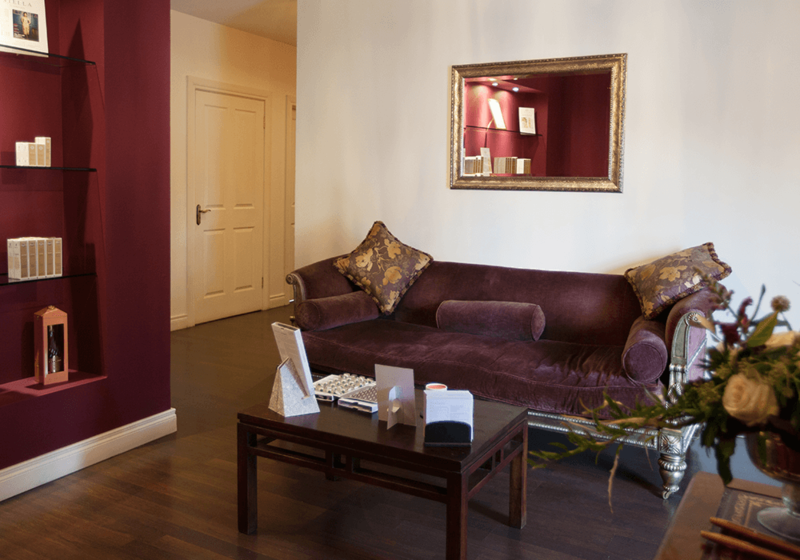 We loved every minute…from the warm welcome from Claire to the gorgeous smells and massage itself. Came away floating, it was so relaxing. Give your skin the 5-Star Treatment from the inside out with ANP Skin Accumax. Join my client’s favourite skin supplement and help say goodbye to Acne. What makes Skin Accumax™ so special? Our patented formula has not only been shown to clarify and clear skin, but it also uses ingredients that work together to help transform your skin from the inside out.